During 1984/85 a production series fifty (50) two-car 'Sprinter' diesel multiple units of class 150/1 were built at the BREL Workshops at York as replacements for life-expired first generation units. They carried running numbers 52101 to 52150 and 57101 to 57150. 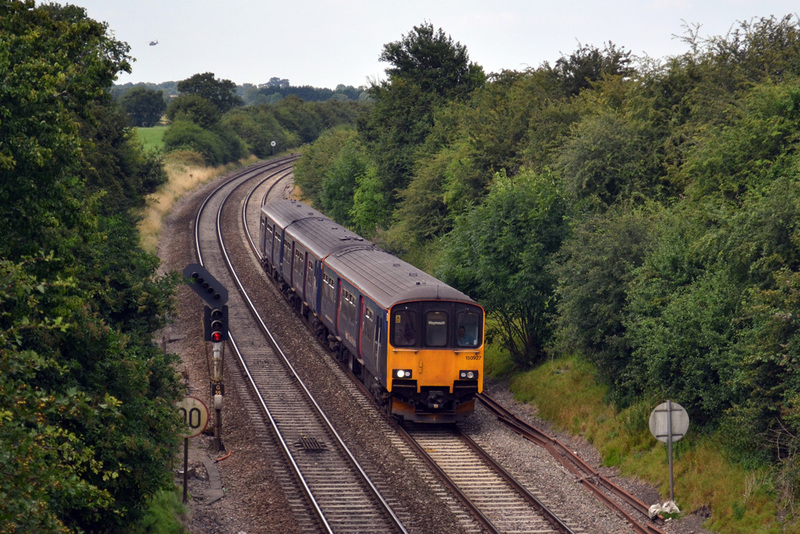 All fifty units were initially based at Derby. The 521xx cars were fitted with a toilet and can be identified as these cars have four large and one small window on the left hand side of the unit whereas the 5721xx have five large windows. However the right hand side of the 571xx cars also have five large windows. 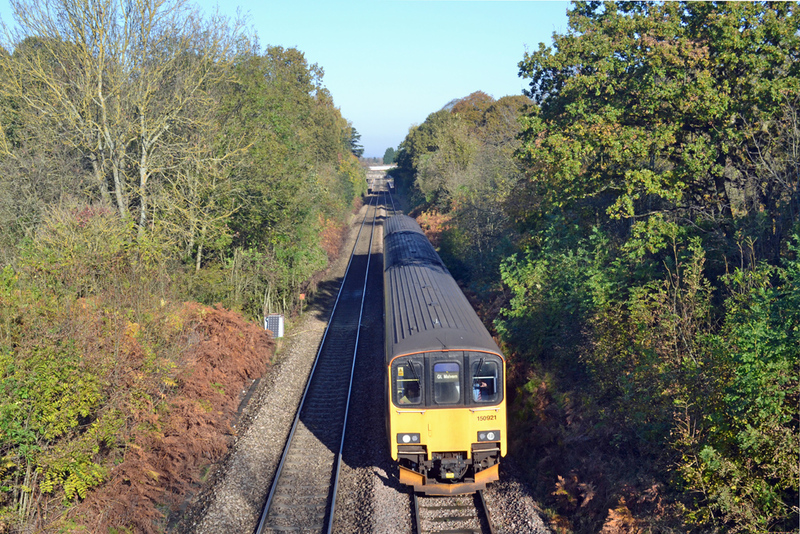 Some of the West Midlands based units were later made into three-sets by adding one car from a class 150/2 unit. After the arrival of London Midland's new class 172 units in 2012 the three-car sets were disbanded when many of the class 150/1s were moved to the First Great Western Franchise. 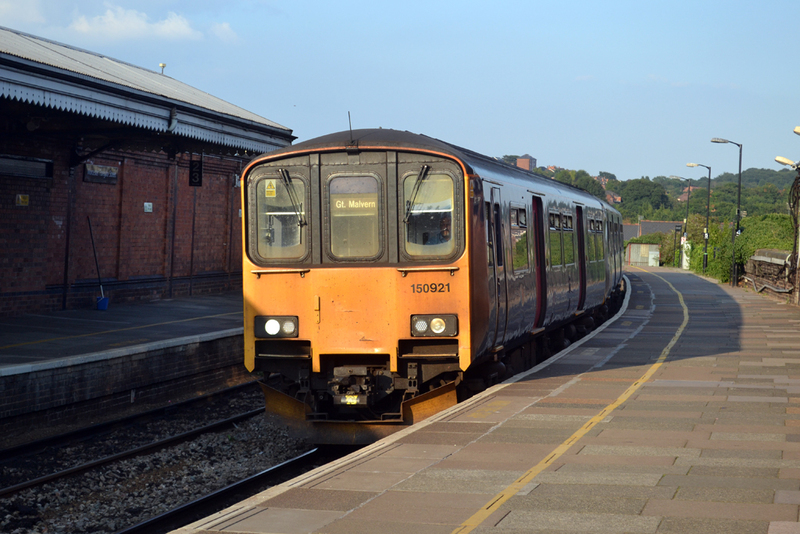 The units now operating as two-car sets continued to make frequent visits to the county operating services from Great Malvern and Worcester to Bristol and some south coast seaside resorts. 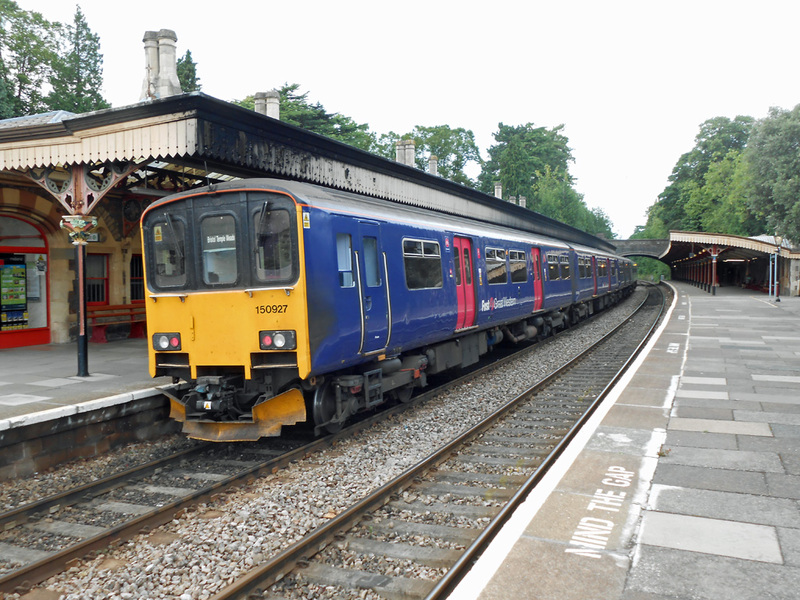 In 2012 two of First Great Western class 150/1s were made into three-car sets and renumbered as 150921 (car numbers 52121, 57212 and 57121) and 1500927 (52127, 57209 and 57127). No.150921 arriving at Worcester Foregate Street Station on 26th August 2013 with the 15.28 First Great Western service from Warminster to Great Malvern (headcode No.2E25). Photograph taken by Andrew Smith. No.150921 with the 08:23 Southampton Central to Great Malvern service (headcode No.2M97) passes Malvern Common on the 17th December 2012. Photograph taken by Andrew Smith. On the evening of 8th August 2013 No.150927 awaits to depart from Great Malvern with the 18:50 service from Great Malvern to Bristol Temple Meads (headcode No.2T97). Photograph taken by Andrew Smith. 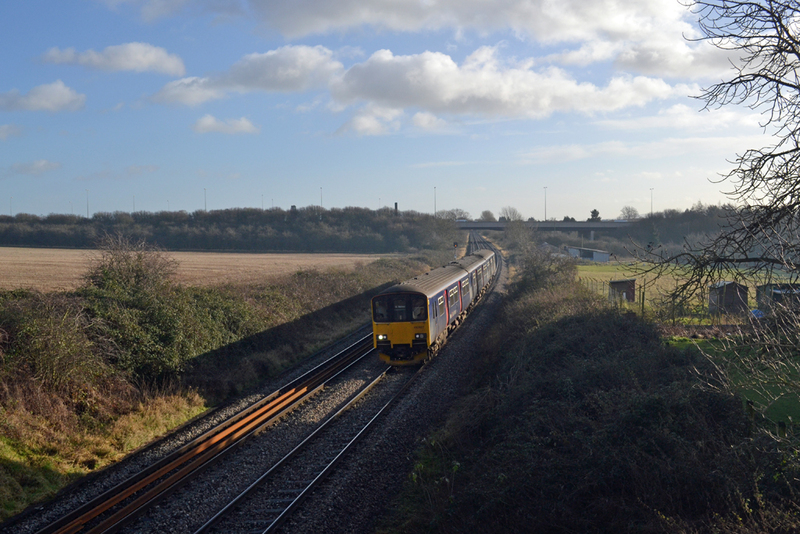 No.150927 approaching Worcester Shrub Hill whilst working the 08:23 Southampton Central to Great Malvern service (headcode No.2M97). Photograph taken by Andrew Smith. No.150927 passing Abbotswood on a hot and humid day with the 14.50 service (headcode No.2094) from Great Malvern to Weymouth. Photograph taken by Andrew Smith on 23rd July 2014.